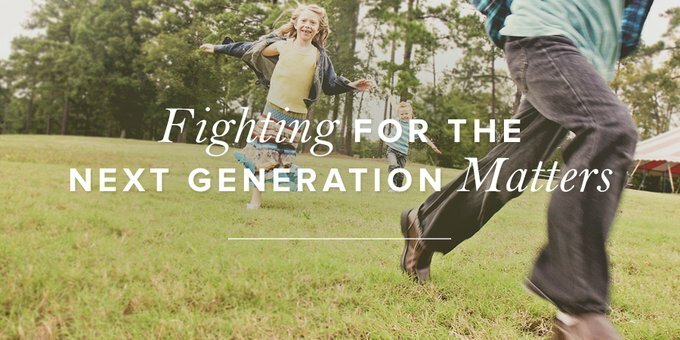 Do I care enough about the next generation—and ultimately God’s glory—to fight for them even when there’s nothing in it for me? This is the question Hezekiah and Josiah’s stories have me asking myself. Just as a little refresher: Hezekiah and Josiah were both kings of Judah. Hezekiah was crowned in 715 B.C. ; Josiah began to reign seventy-five years later in 640 B.C. Overall, the Bible tells us they were both good kings (see 2 Kings 18:1–8 and 22:1–2). But as I read through their stories recently, I stumbled across a troubling difference between these two men. Then Hezekiah said to Isaiah, “The word of the LORD that you have spoken is good.” For he thought, “Why not, if there will be peace and security in my days?” (2 Kings 20:19, emphasis added). Hezekiah was fine hearing this bad news, because it didn’t impact him personally. How often do I have the same reaction? I hear a story or encounter a need, and I shrug my shoulders. After all, I’m busy, and thankfully that situation doesn’t impact me. . . . Or does it? Is it my little life and kingdom I’m living for . . . or the advancement of God’s kingdom? I relate far too well with Hezekiah’s standoffishness. But then I read of Josiah’s very different response. King Josiah’s challenge to me picks up when he was just twenty-six. He sent a few men to the temple of God on a specific mission. While there, these men stumbled across a copy of the Book of the Law. They came back and read the book to Josiah, and when he heard it, he tore his clothes and wept before God. He then sent men to inquire of the Lord what would happen, because Josiah knew the people of Judah hadn’t been obeying God’s law. “Thus says the LORD, the God of Israel: Regarding the words that you have heard, because your heart was penitent, and you humbled yourself before the LORD, when you heard how I spoke against this place and against its inhabitants, that they should become a desolation and a curse, and you have torn your clothes and wept before me, I also have heard you, declares the LORD. Therefore, behold, I will gather you to your fathers, and you shall be gathered to your grave in peace, and your eyes shall not see all the disaster that I will bring upon this place” (2 Kings 22:18–20, emphasis added). Like Hezekiah, Josiah heard of Judah’s soon demise and was also assured that this would happen after his death. But even though it wouldn’t impact him personally, Josiah instantly got to work. He read the Book of the Law to all the people (2 Kings 23:1–2). He led the people in making a covenant with the Lord, that they would keep His commands with all their heart (v. 3). He burned all the idols that were in the house of the Lord (v. 4). He fired the priests that previous kings had hired to make offerings to false gods (v. 5). He destroyed the houses of the male cult prostitutes who were in the house of the Lord (v. 7). He wrecked “Topheth” where parents sacrificed their children to the false god, Molech (v. 10). He commanded the people to start celebrating the Passover again (vv. 21–23). Even though captivity wouldn’t impact him personally, Josiah fought for the next generation. Since captivity was punishment for Judah’s sin, Josiah did everything in his power to help the people return to God. Josiah’s story convicts me big time. Do I really care about the next generation, even when what happens to them won’t impact me personally? For starters, do I know the names of the children and teens in my local church? Am I aware of what is going on in their lives? If not, who can I deliberately reach out to this next Sunday? Do I long for God’s glory to be seen in the next generation? Do I care that the next generation obeys God and doesn’t worship false gods? Is there someone I could begin to invest in and build a relationship with—even if it’s just to invite them to come with me when I run errands next? How about you? Do you have the same heart attitude as Hezekiah . . . or as Josiah? What action can you begin to take today to get to work for the next generation? Previous Post Behind on Bible Reading?